Product prices and availability are accurate as of 2019-04-16 12:38:29 UTC and are subject to change. Any price and availability information displayed on http://www.amazon.com/ at the time of purchase will apply to the purchase of this product. Classic natural wicker styling with an easy fold down handle. Easy to mount on the bike with included Velcro attachment straps. 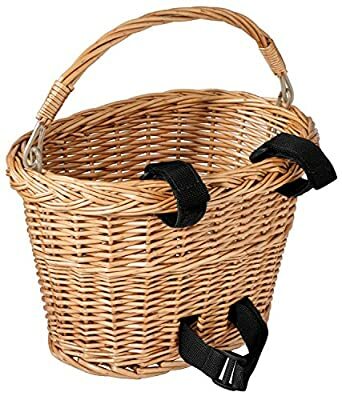 Attachment: Front handlebar mount Velcro straps (include) Construction: Hand woven natural wicker - 8 x 10 x 7.5" Capacity: 5 lbs.